Some fellow cigar lovers asked us what someone needs to do to become an expert in cigar tastings and pairings, sometimes referred to as cigar sommelier. This article is meant to provide practical information on the topic. Needless to say, the areas of the premium cigar knowledge are varied and it is recommended to acquire a solid general preparation on the cigar history, production and market. Such knowledge will be a good basis for the further, very important step, which is the tasting of the cigar. Once you can do that, you can more easily continue your path as cigar sommelier, where you are expected to not only design pairings, but also explain what you do and why to customers who may know more than you do, and be ready to re-design a recommendation based on your customer’s needs and wants. Let’s start with the basic cigar knowledge. The premium cigar tradition having been popular in Cuba in the first place, it is not surprising that that country is looked at for worldwide standards in fine cigar education. In fact, the Habanos Academy aims to ‘introduce a uniform and coherent knowledge on the Habano. Currently the training is available to tobacconists through the local Habanos distributor. 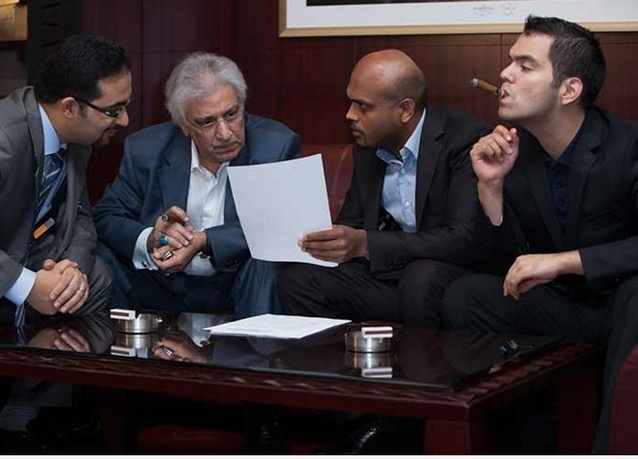 In the UK, Hunters & Frankau developed a curriculum for the qualification of Masters of Havana Cigars. There are also countries where club life is so lively and demanding that similar high-profile classes are delivered by cigar clubs. I can mention my home country, Italy, with the well reputed Cigar Club Association and their successful Catadores classes. Lecturers are among the most reputed experts at national level and beyond. Exams include written and oral tests, blind tastings and pairing suggestions. Master classes are in the process of being set up. Although, in order to understand the tasting aspects, you need to also understand how blends are made and how cigars are rolled, the above classes do not necessarily prepare you to blend and roll cigars. Becoming a blender or a roller requires totally different levels of knowledge and expertise, which a professional taster will highly respect. Now let’s look at the most reputed, in my opinion, organization for developing professionals of the hospitality industry to become serious cigar sommeliers. Another more recently established institution is the International Association of Cigar Sommeliers (IACS), an organization training and certifying Sommeliers in the management, service, pairing and understanding of cigars as a gourmet product. They currently have more than 600 members and graduates in more than 20 countries, including Mexico, the United States, Cuba, Nicaragua, the Dominican Republic, Colombia, Argentina, Brazil, Romania, Spain, South Africa, Hong Kong, Belgium and China. They have two certification levels: Cigar Sommelier (also available through e-learning) and master Cigar Sommelier. Their Director of Education and Head Instructor is Yamir Pelegrino, born in Cuba, he holds a degree in Social Sciences, a JD, a Master in Wine & Spirits Education and a PhD in Tourism. He is President of the American Gourmet Academy (AGA), Director of Education of the International Association of Cigar Sommeliers (IACS) and Honorary Maître of the Republic of Cuba. He was awarded “Best Sommelier of 2017” by Excellencias Group and obtained the Gourmand World Cookbooks Award twice (Considered as the Nobel of Gastronomic Literature). Best known as the “Sommelier of the Stars”, Yamir has hosted dinners with more than 110 Michellin Stars being responsible of the wine and cigar pairing. Yamir is a pioneer of the cigar education, 30 years ago he co-created the Habano Sommelier concept. He has been jury of the International Habano Sommelier Contest and facilitator of cigar training seminars in the Habano Fest in Cuba, Procigar Festival in the Dominican Republic and Puro Sabor Festival in Nicaragua. But education is only the starting point – nobody becomes an expert just after some classes. What is extremely important is to acquire the methodology and the notions so as to use the appropriate terminology and avoid mis-conceptions which are very easy traps to fall into, given the complex nature of the cigar and the wide varieties on the market. What really matter are practice, practice, practice in tasting and in advising customers, and a lot of eagerness to learn. Our panelist Rajan Rengasamy won HabanoSommelier competitions in his country, the United Arab Emirates, and was finalist at the International HabanoSommelier competitions. He is a national jury member and selects the finalists travelling to Cuba each year for the same renowned international contest. He knows what it means to be scrutinized by international experts in everything you do when serving a cigar. We hope we have provided some useful information to those of you who are thinking about this exciting career. If you have questions or comments, don’t hesitate to share them with us! Thanks for your interest in our private content - please Log-in or Join (for free) to continue reading. This portion of the article contains approximately 1016 words.